There are red chairs, plushy chairs, high and low chairs, but never ever has there been a chair as sweet as Nofred’s Mouse Chair. 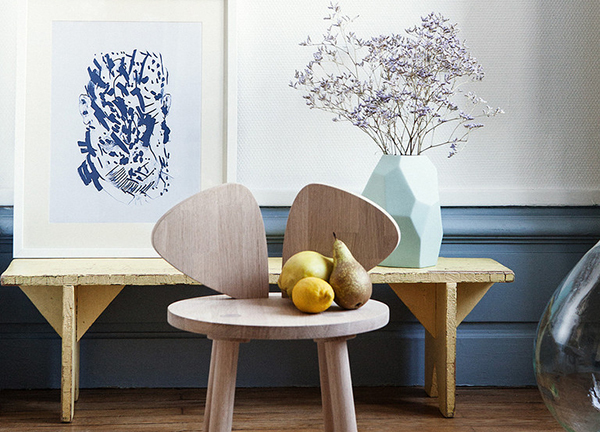 Made from natural, untreated oak that’s been sanded silky smooth, the Mouse Chair is named for a seat back that’s shaped like two little mouse ears. The simplicity of the design is pleasing in a singular Danish way. 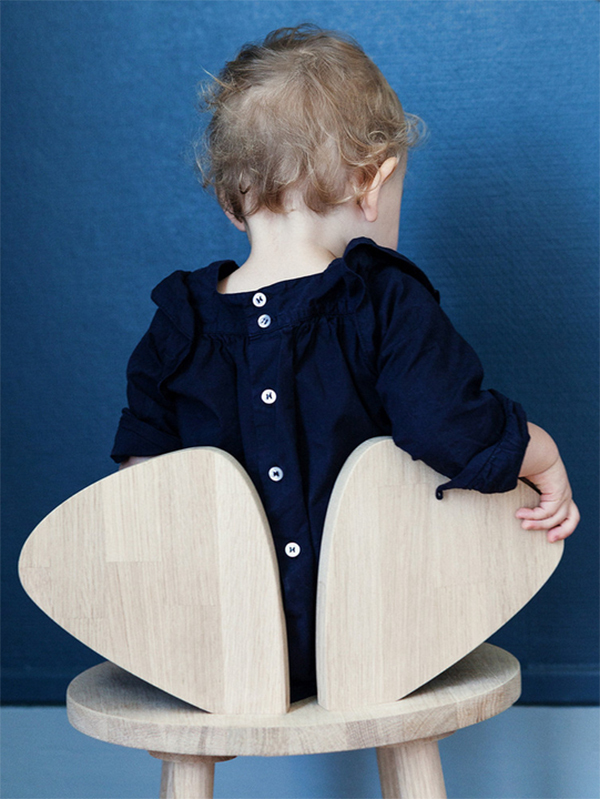 That country is the birthplace of a design aesthetic that’s enjoying a healthy renaissance, and we love that it’s making its way into nurseries. At $270 for the chair and $310 for the matching table though, you might want to slap some oilcloth down before you let little artists with their textas near. Sadly for us, Nofred doesn’t ship to Australia, but you can get a bit of the same pared back design flavour with the Green Cathedral Babanees Stool made in our very own Noosa.